Wednesday, October 24th 2018, 7:30 p. m.
The “Grand Siècle”—17th century France—was not simply a century of monarchical grandeur. It was also a time of intense piety, although this was not necessarily always evident in the music being created; considering the melodic sensuality and the refined ornamentation and drama— stemming from opera—that characterize it, one might even speak of a cult of seduction. 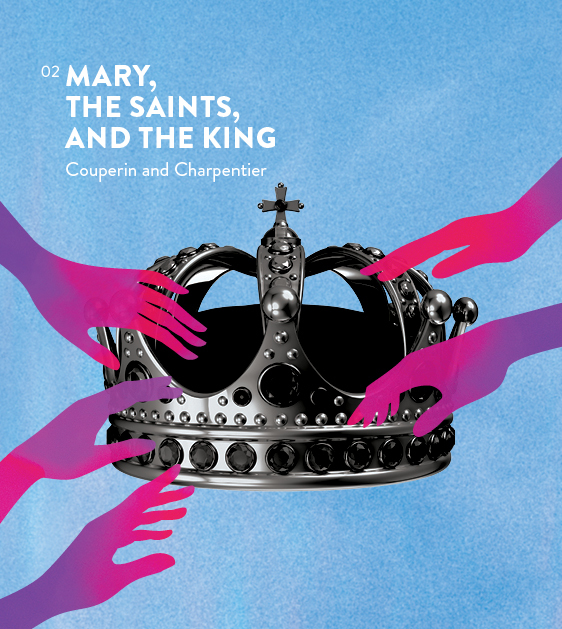 The movements of Charpentier’s Assumpta est Maria mass will alternate with a few motets by François Couperin, namely to Saint Cecilia and to Saint Susanna. Three of these, which were lacking instrumental parts, have been fittingly reconstructed by British conductor Edward Higginbottom; they will be performed for the first time on this side of the Atlantic. Presented in collaboration with Arte Musica.